“Koh Kood Beach Resort” Indulge yourself and experience the laid-back and luxurious ambience in the lush surroundings of the Koh Kood Beach Resort. The island of Koh Kood, still an unspoiled and very quiet spot, inspires you to to cool down, sit back, and watch the island’s stunning sun sets. Located on Thailand’s fourth largest island in the Koh Chang Marine Park, Koh Kood Beach Resort invites you to explore and enjoy the unique nature, the white sandy beaches, and the crystal-clear water. The welcoming staff will make you feel special throughout your entire stay. 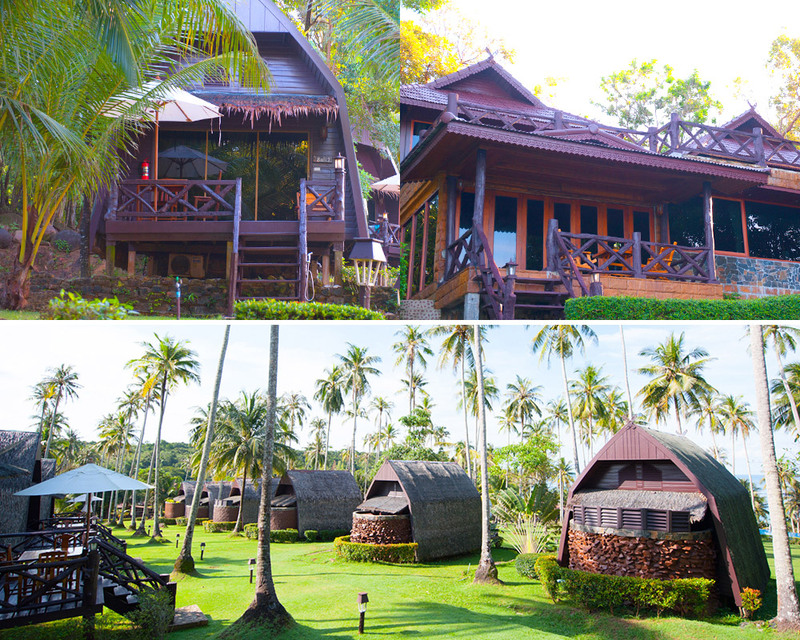 Koh Kood Beach Resort offers three bungalow styles for your choice. The first style is “Bali House”, set among coconut trees lining the banks suitable for traveling couples. The second style is “Thai Twin House” in a twin house fitting for a family or group. The last bungalow style is “Sunset House”, a large private house from whose balcony you will enjoy a beautiful view of a long sea beach extended towards the edge of the blue sky. Here, you can bike around the island to appreciate the serene nature and learn the peaceful way of fishing village life at Salad Bay and Big Bay. You should not miss Klong Chao Waterfall where you will enjoy the sight of a gorgeous natural architecture while listening to the sound of the waterfall hitting the rocks. Even more, you can indulge in the privacy of our beach, engaging in a wide range of activities including diving, kayaking, playing beach volleyball with other guests, and sipping a cold beer, feeling so impressed with a panoramic view of the fading sunlight at the sea. This will be such an unique experience on Koh Kood Island that will never leave your memory.